под общим 92 номером на драфте 2005 года. Marek Bartanus' career began in Slovakia with the Kosice organization. The son of a player agent, Bartanus split the 2003-2004 season, at 16 years old, between Kosice's J18 and J20 teams, scoring 3 goals and 5 points with a +8 rating in 4 games in J18 and 23 goals and 34 points with a +26 rating in 41 games in J20. At 17, Bartanus split time between the J20 and Extraliga levels, making his debut at Slovakia's top level. In 34 games in J20 in 2004-2005 Bartanus played 34 games with 14 goals, 28 points, a +35 rating and 99 penalty minutes. In the Extraliga, Bartanus played 24 games scoring 2 goals and 3 points with a +1 rating. He also played a game for HK VTJ of the 1.liga going scoreless in the match. Expectations for Bartanus were high that summer going into the U18 World Junior Championships as many scouts expected him to be Slovakia's best player, but a disappointing 1 goal and 2 points with a -3 rating in 6 games hurt his draft stock. Bartanus finished rated the 16th best skating prospect in Europe by NHL Central Scouting and before the draft was selected with the 10th overall pick of the 2005 CHL Import Draft by Owen Sound of the OHL. 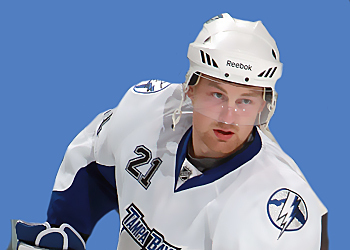 Still, Bartanus lasted until the 4th round of the 2005 NHL Entry Draft where he was selected by the Lightning. Bartanus, under the advisement of his father, moved to North America to play for Owen Sound in 2005-2006. He was invited to join the Lightning's 2005 Traverse City prospect team that Fall but was scoreless in the tournament as he struggled for much of the first half of the season to adjust to the more rugged game played in the OHL. Bartanus was named an alternate for Slovakia's 2006 U20 World Junior Championships team at midseason and after sitting a game he got into the lineup for the remaining 5 games of the tournament scoring a goal and finishing -4 with 4 penalty minutes. The experience buoyed Bartanus' confidence and he finished with 7 goals and 19 points in 49 games with Owen Sound with a -4 rating and 4 penalty minutes. In the playoffs, Bartanus had 2 goals and 6 points in 10 games with the Attack with a +2 rating and 8 penalty minutes. In the Fall of 2006 Bartanus made his second appearance at Traverse City scoring 2 goals and 3 points in 4 games after missing all of the Lightning's summer prospects camp due to injury. 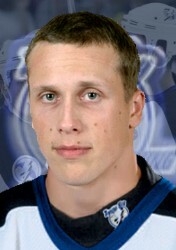 Bartanus attended his first Lightning training camp after Traverse City and played well in scrimmages despite struggling in the camp's conditioning testing. Bartanus was sent back to Owen Sound of the OHL in the team's first camp cuts.